Welcome to the penultimate and possibly deciding night of the charity challenge competition! 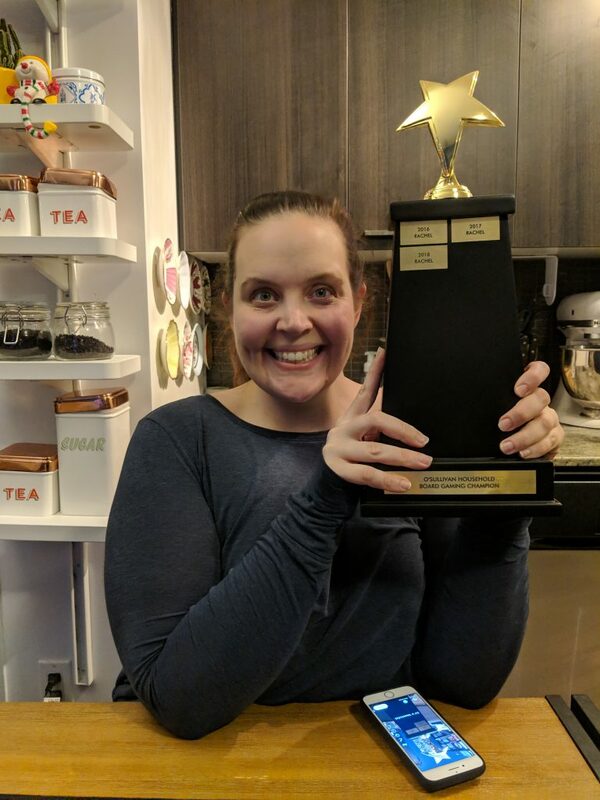 For over a month now Rachel and I have been playing games nightly to raise funds and awareness for Toronto’s Sick Kids hospital and to decide who will hoist our family board game challenge trophy! If you would like to donate or learn more about donating to Sick Kids please visit our campaign page here. Because Rachel lost at Stone Age last night she gets to pick this very important game (in fact if I’m to win the competition I will not pick another game). She’s been saving this pick for when we get deep in the competition. It’s a game that’s almost 50/50 between us but she has a slight edge. Tonight we are playing Jaipur! 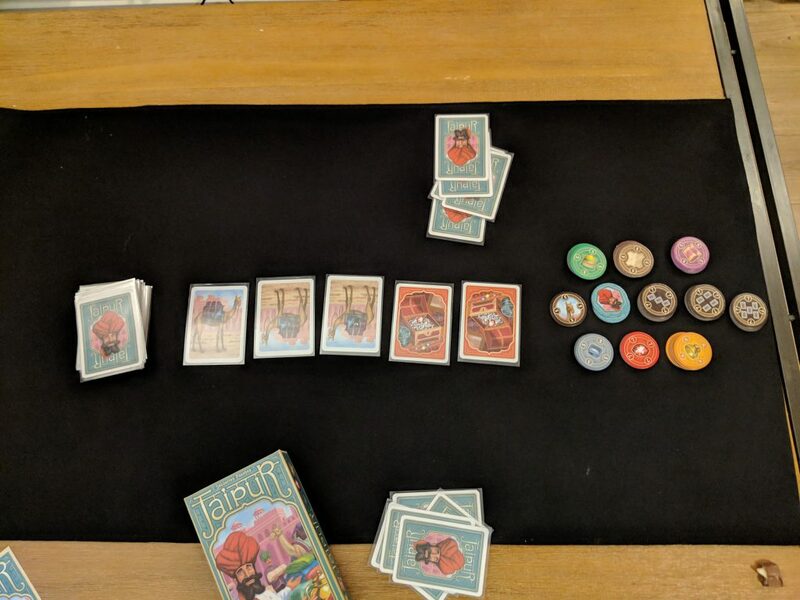 In Jaipur two players face off trading cards from their hand with 5 face up cards or turn in sets of cards for points. 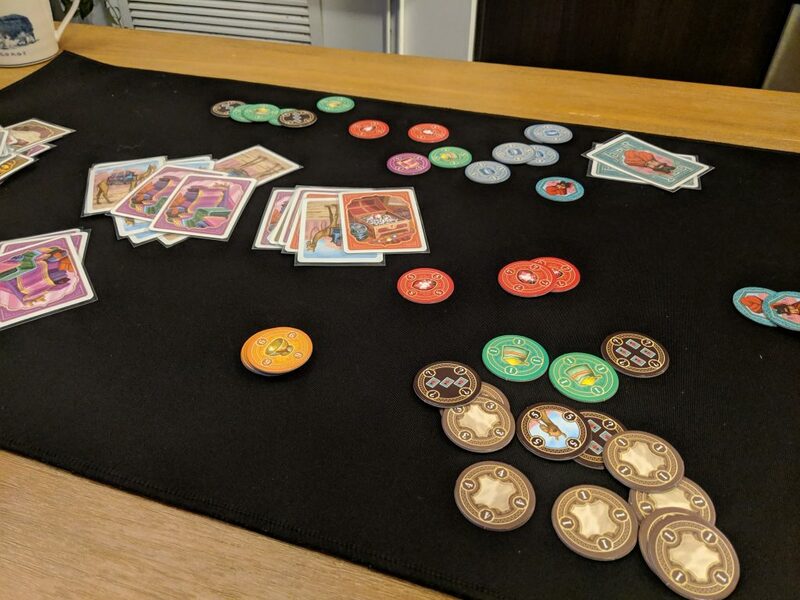 Players need to balance building up bigger sets (that are worth more points) with getting bonuses for being earlier trading in any given set of cards (the scores for given types of goods/cards decrease as people trade in for them). It’s a quick playing game played that is tense, playing out over a best of three format. 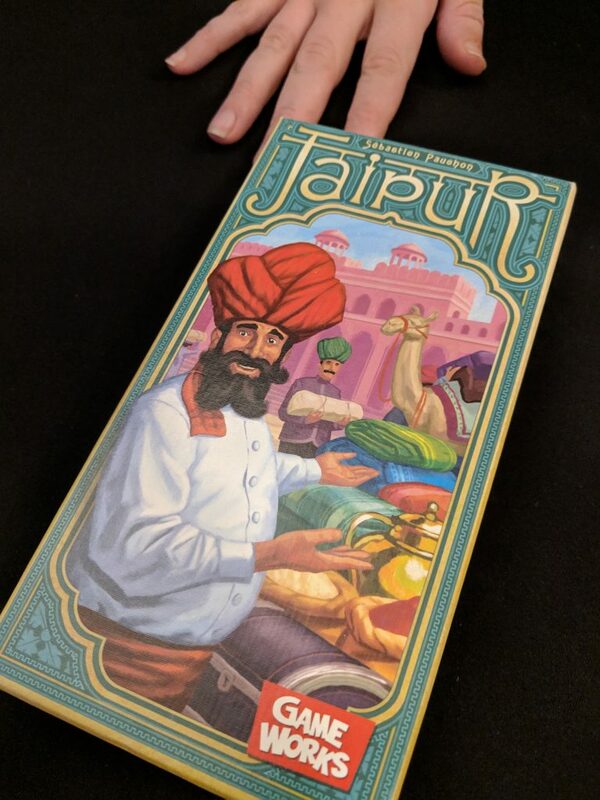 If you’d like to learn more about Jaipur check out this video. Game 1. Rachel opened the game very aggressively. She could taste blood and saw the trophy on the horizon and managed to claim several high point value chips very quickly. I was never able to catch up and Rachel took game 1 handily. Game 2. I wasn’t messing around this game. I played very defensively, scooping up any opportunity I thought Rachel might have. All the while I managed to eek out points of my own and I ended up winning the game. Game 3. Tension. You could hear a pin drop. At one point we had to stop and laugh because it was total silence with both of us staring intensely at the table. This was a very tight game, Rachel picked up my strategy from game 2 and we both played very defensively, managing not only our own scoring opportunities but also blocking off cards that were important to our opponent. Rachel thought I had taken. I wasn’t sure. In the end Rachel took it. Jaipur is slowly becoming a puzzle she’s got one over on me. And with that win Rachel has become, for the third year in a row, the O’Sullivan household board gaming champion! We still have one more game to play this week and then we’ll wrap things up for the year. Thank you all so much for following along and a big congrats to Rachel for whopping me again!